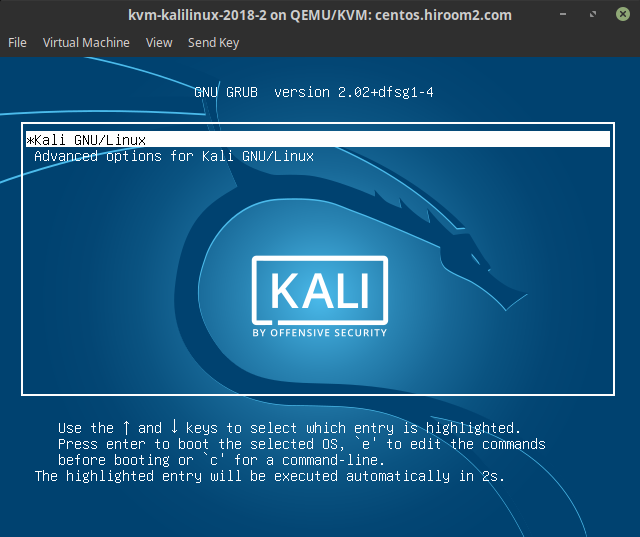 This article will describe installing KaliLinux 2018.2. 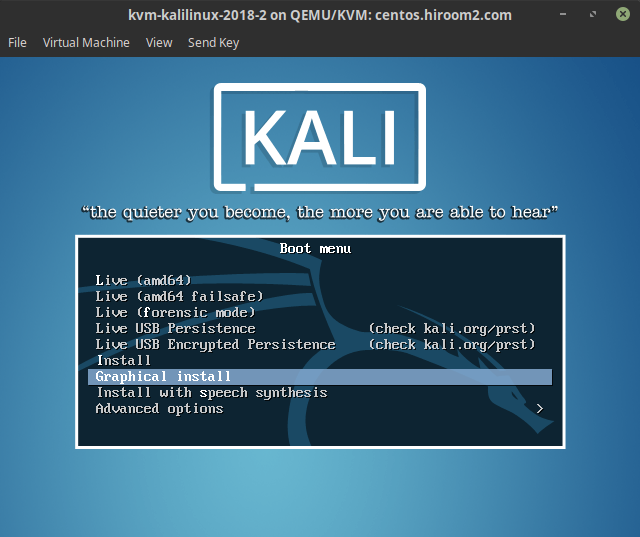 Download kali-linux-2018.2-amd64.iso and run it. 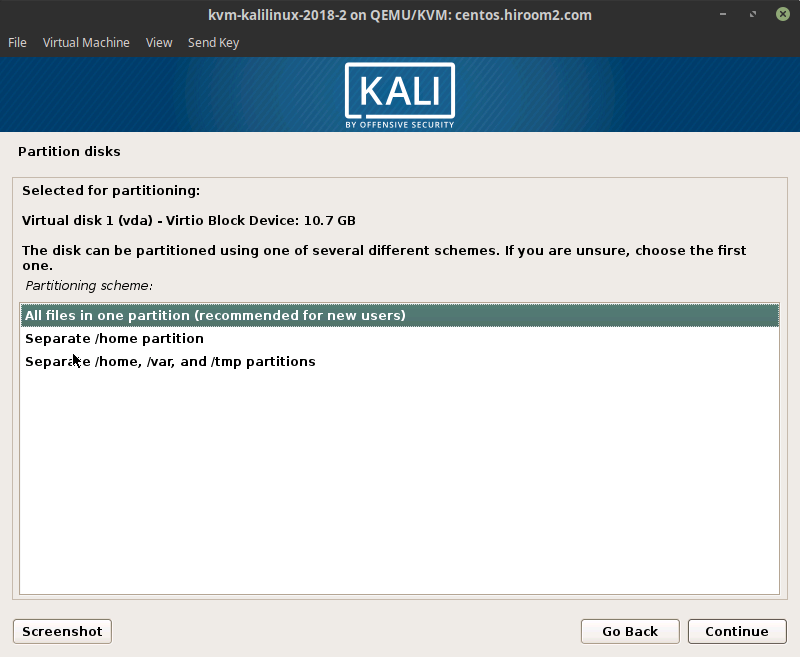 Confirmation for separating partition is displayed. 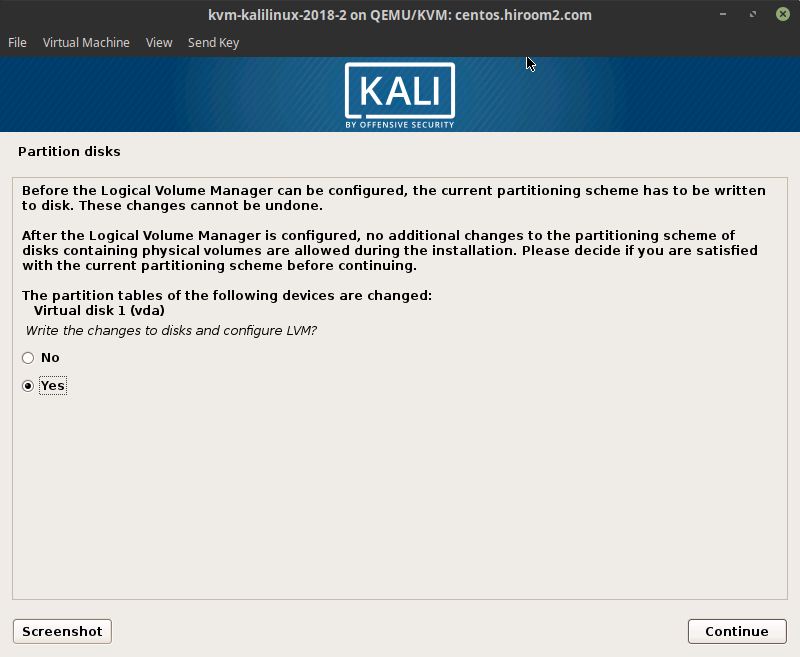 If you do not modify separating partition, select "Finish partitioning and write to disk". 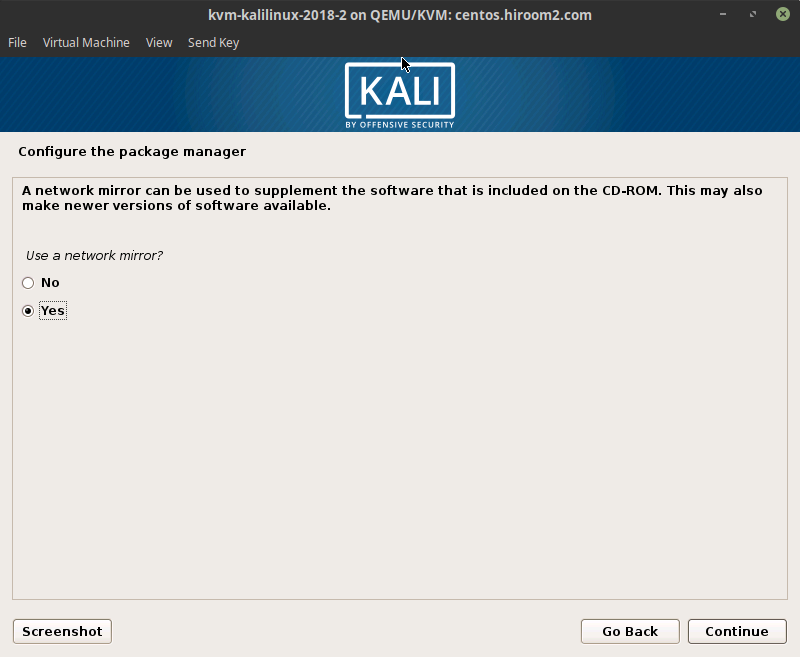 Select yes to use mirror server for installation. 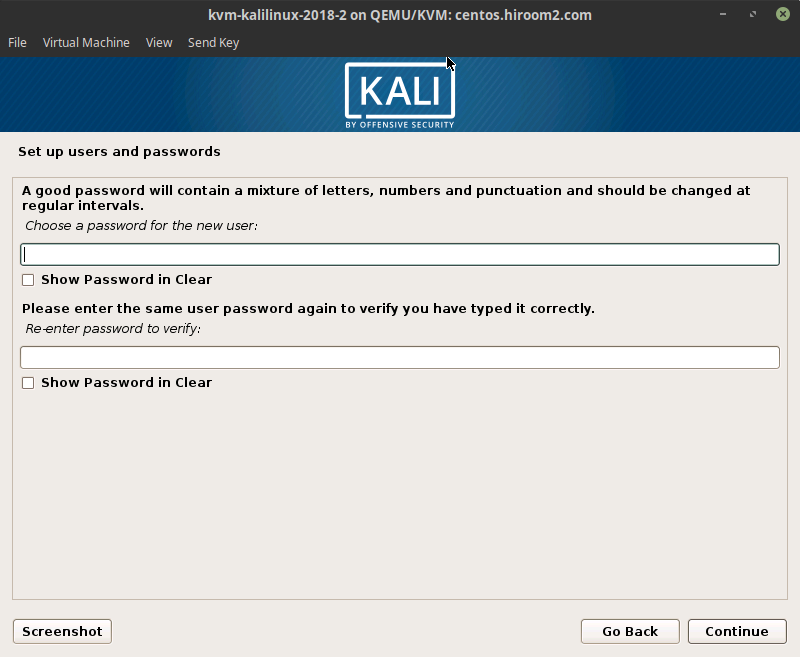 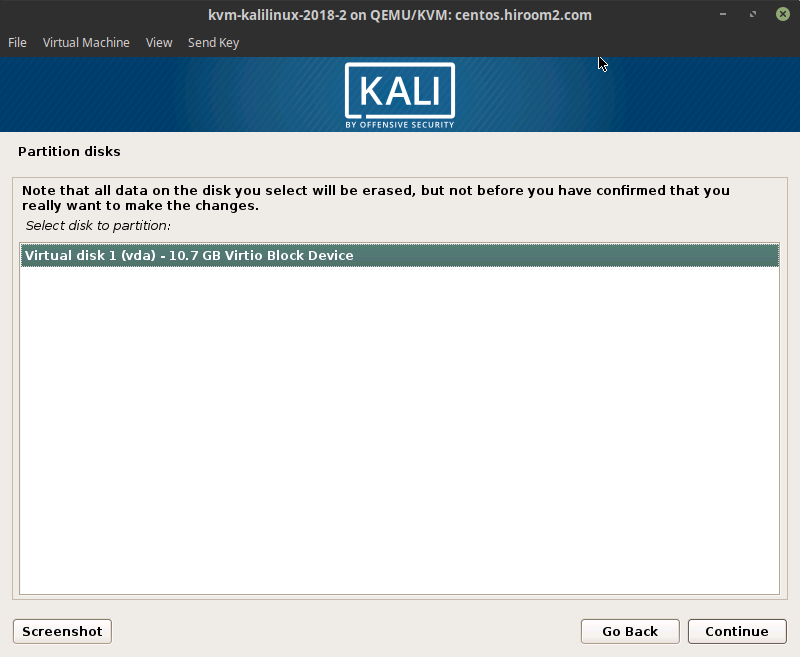 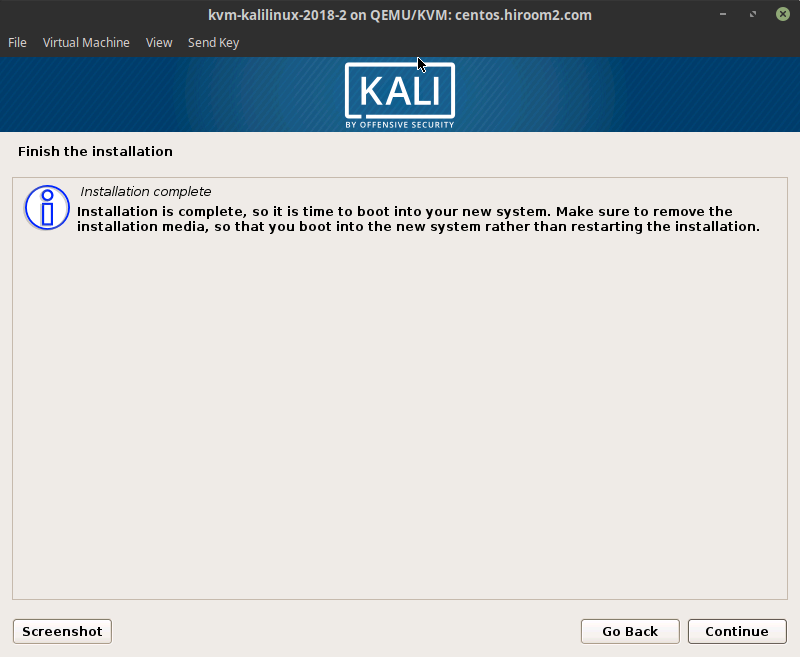 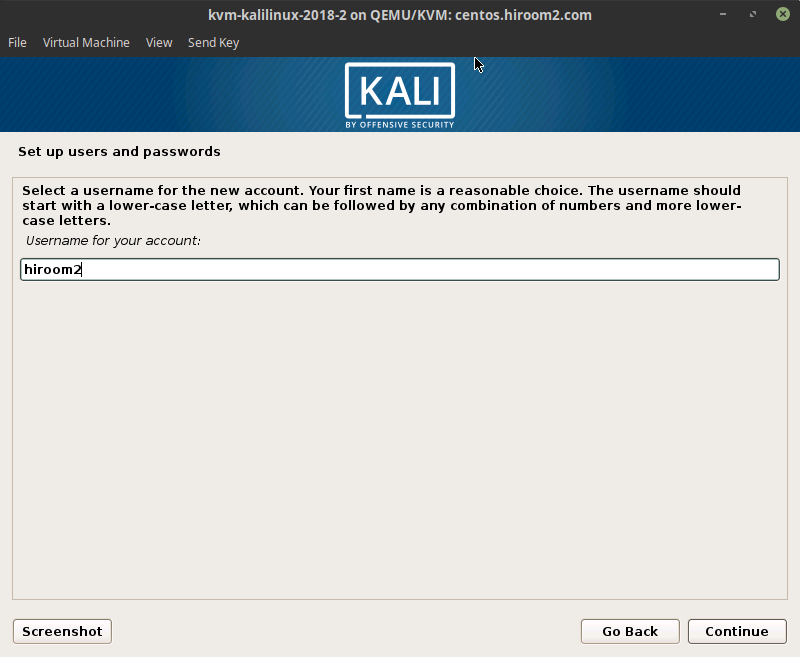 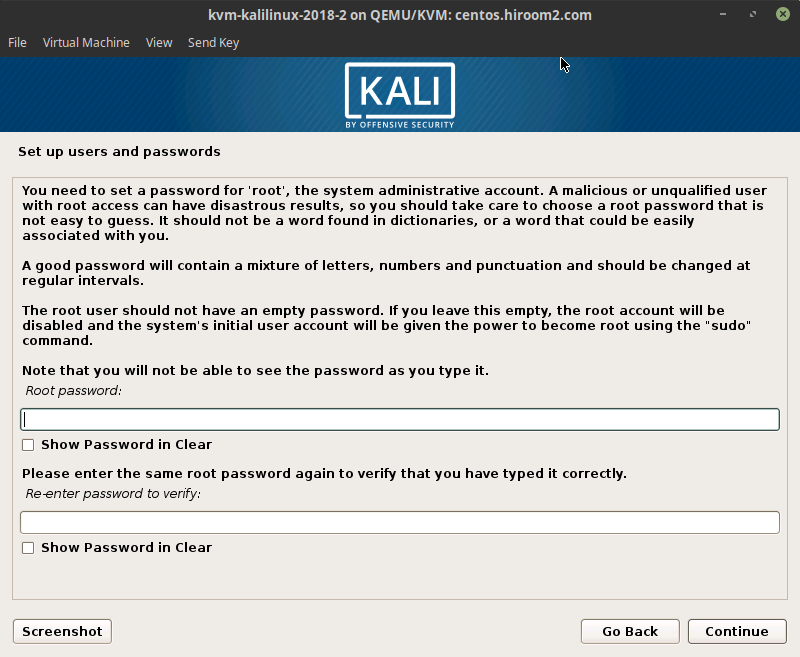 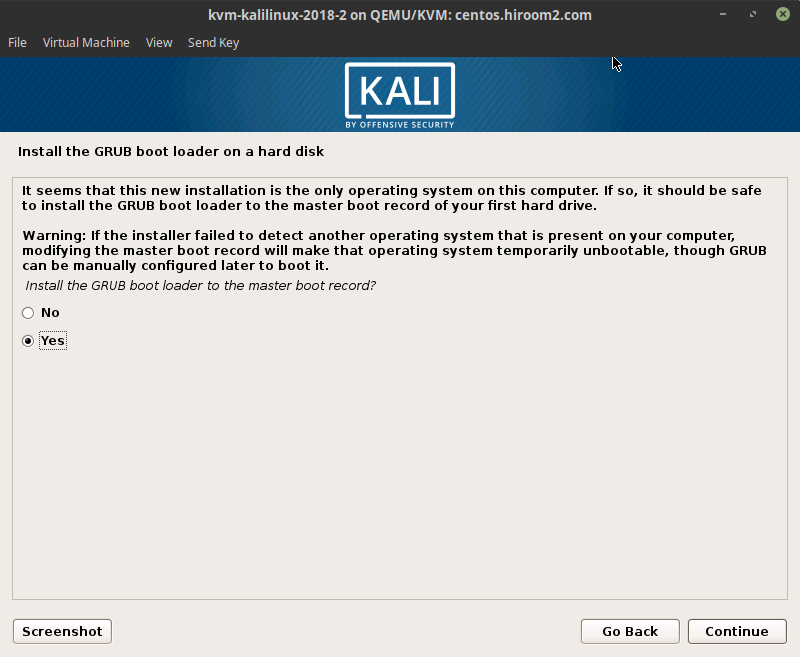 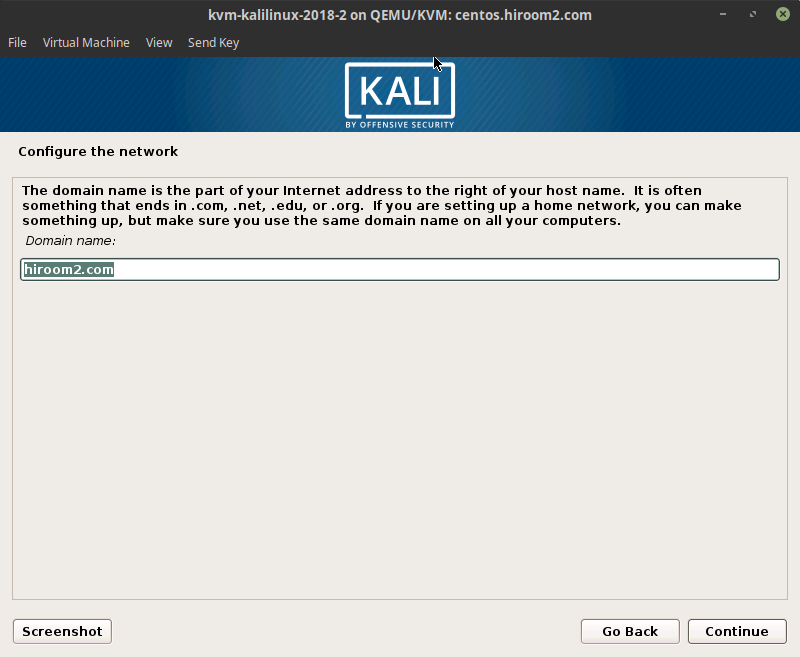 After reboot, KaliLinux will start.